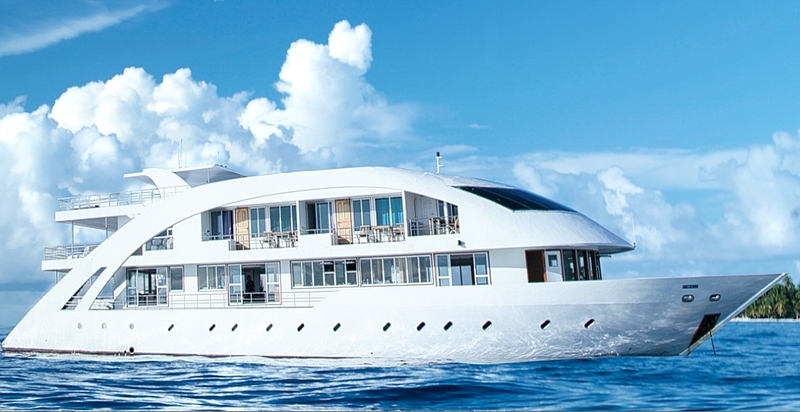 Motor yacht MALDIVE MOSAIQUE is a 41m (137ft) custom built vessel delivered in 2011. 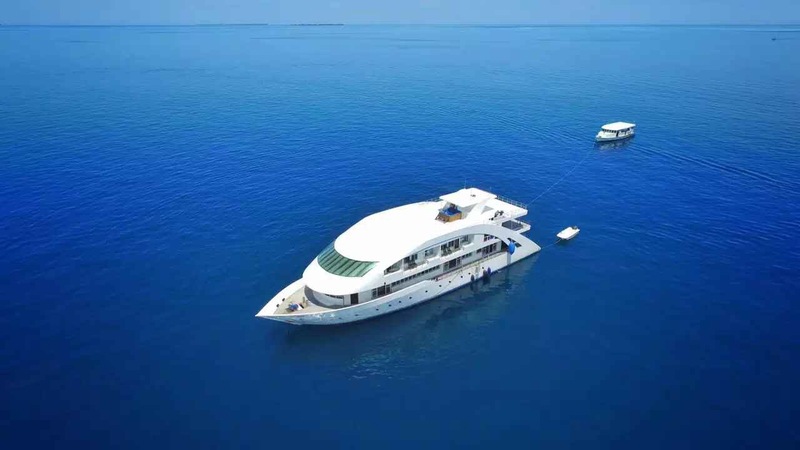 This unique yacht offers crewed charters for family, friends, business associates or adventure groups. 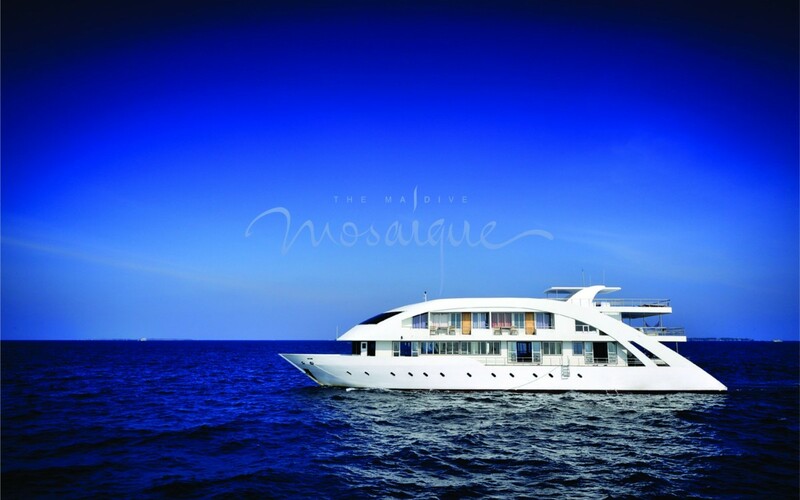 MALDIVE MOSAIQUE was created by piecing together unique ideas and designs similar to a mosaic. 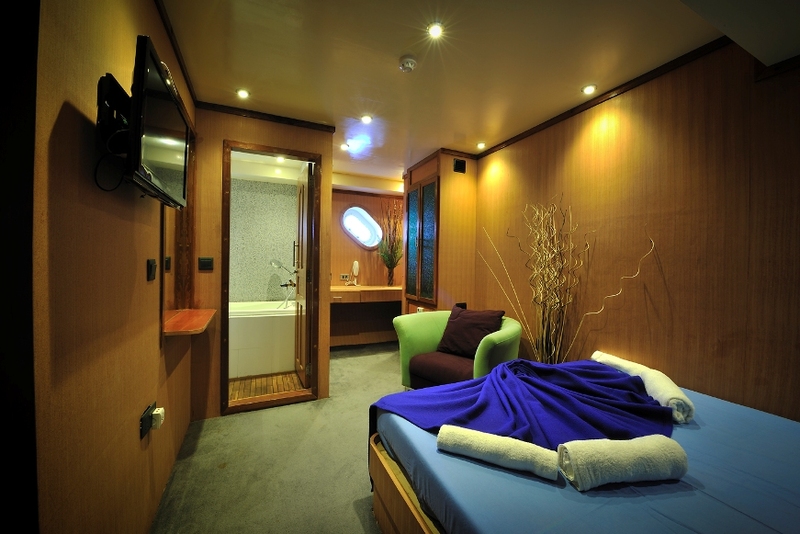 She can accommodate 22 guests in 11 cabins. 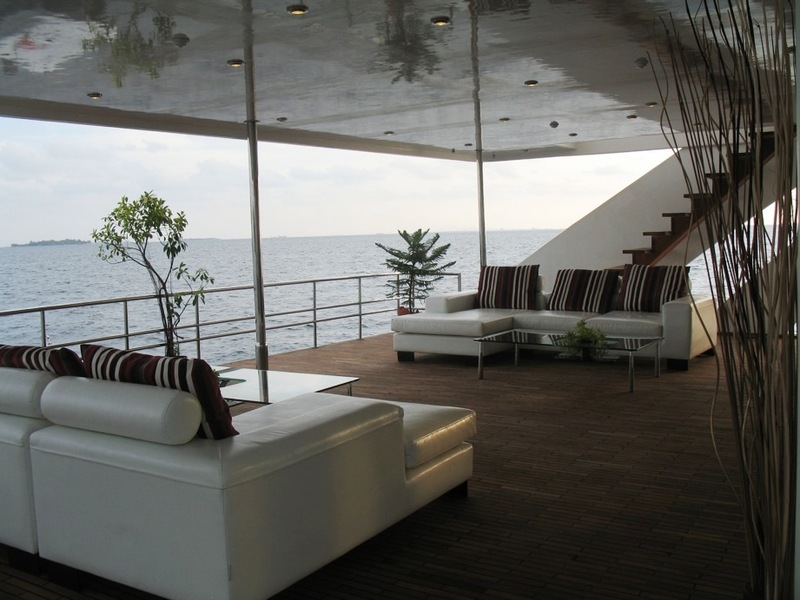 One of the main design features of the yacht was to incorporate indoor and outdoor living, to let her guests enjoy panoramic views from as many vantage points as possible. 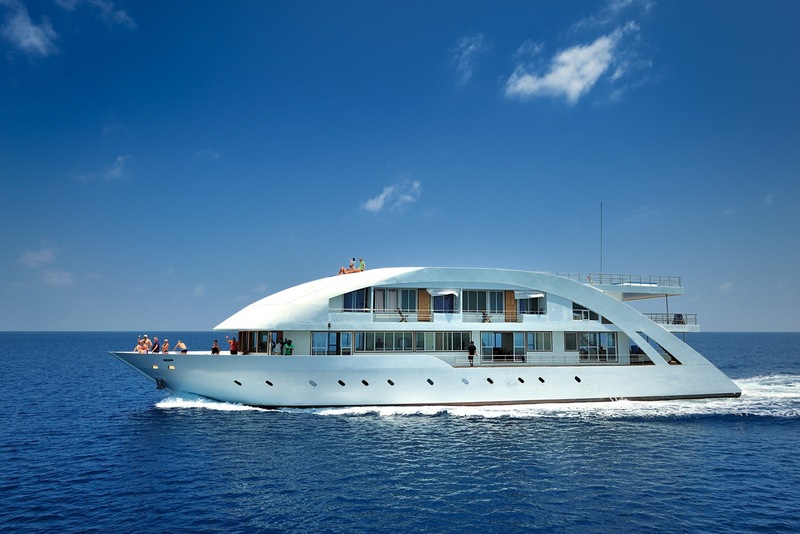 Other special and unique features of the yacht include a Dive Center, Optional Masseuse, private balconies and outdoor baths. 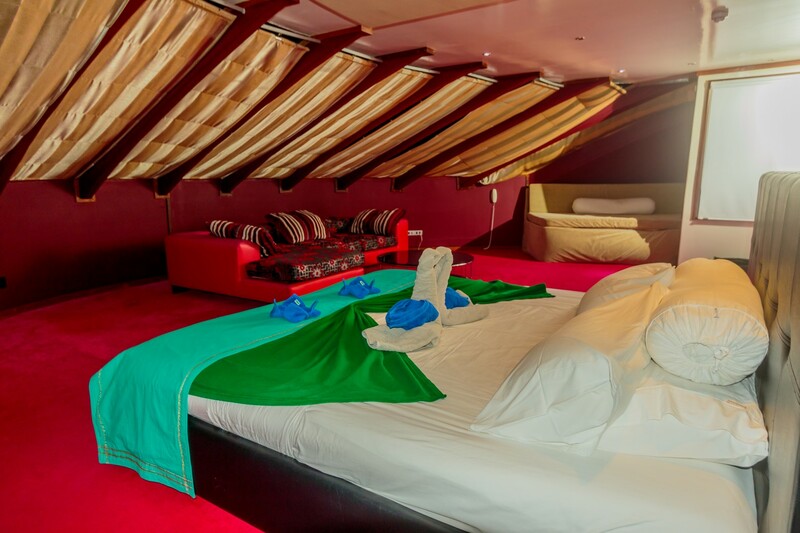 There is 120sqm of sunbathing space and the large sun deck with a Spa Pool for eight people provides the perfect place to relax in the sun during the day or to star gaze at night. 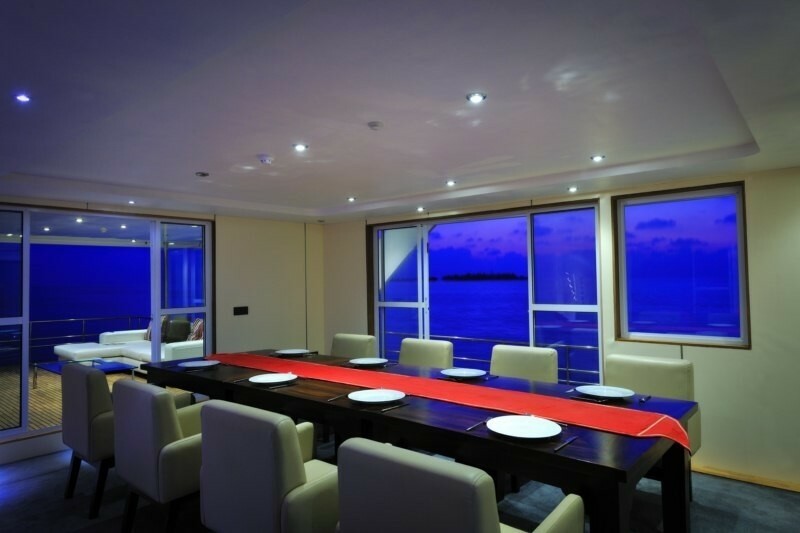 There are several communal spaces onboard the yacht including an oversized salon on the main level and a large dining room. 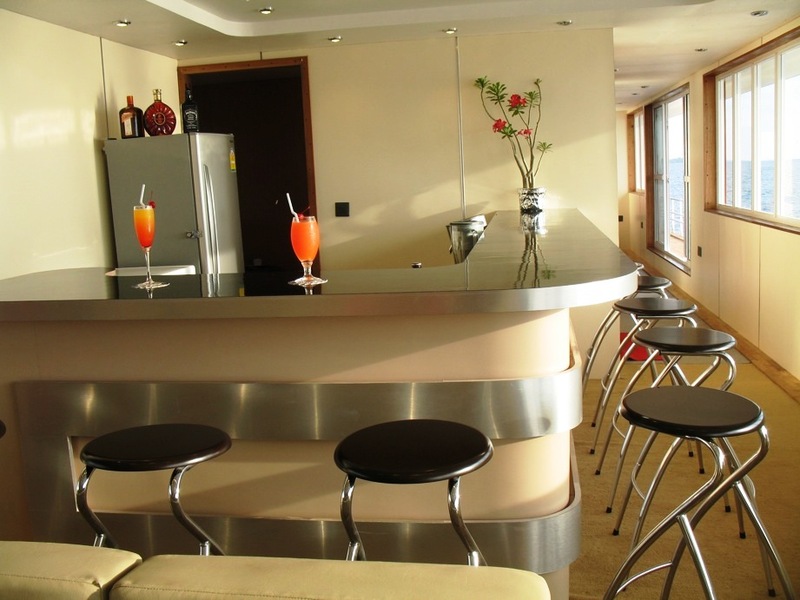 There is also a sky lounge with bar and seating on the upper level. 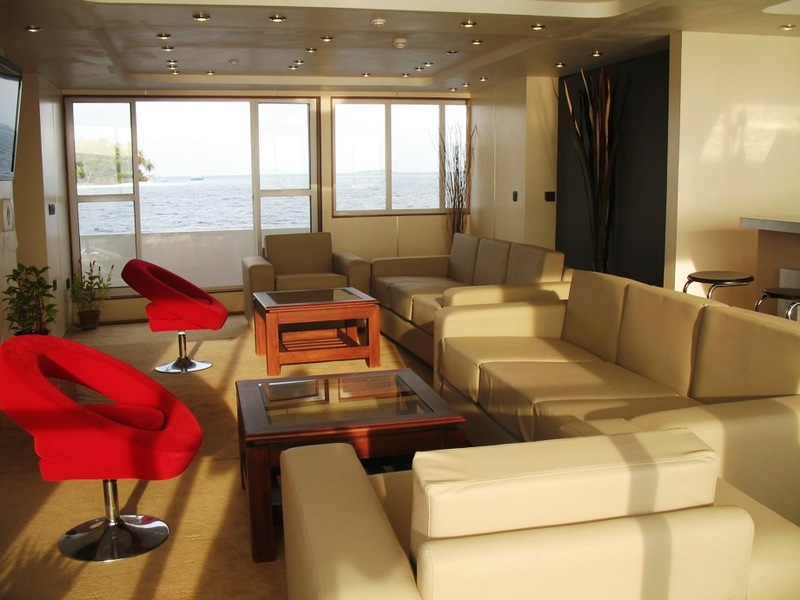 The Main deck and top deck offer outdoor lounges with comfortable sofas. 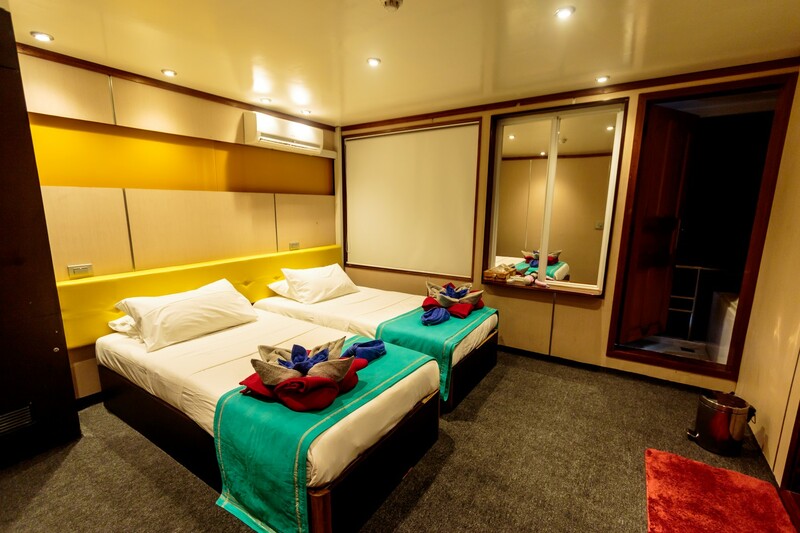 Accommodation is offered in 11 private cabins. 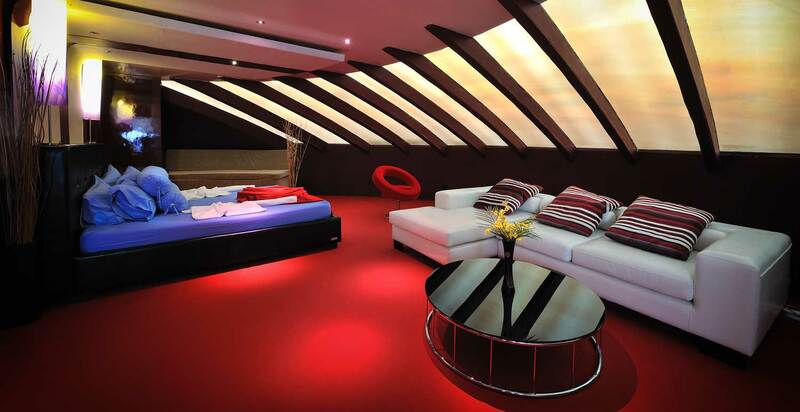 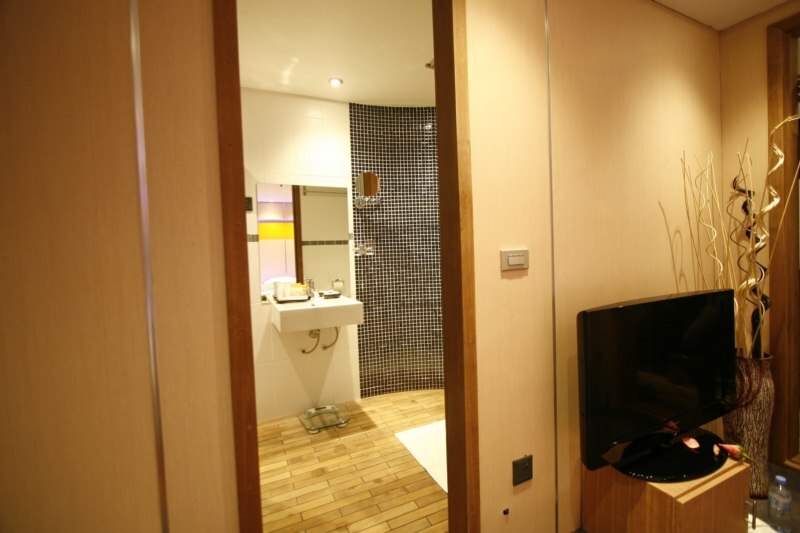 The suites and rooms exude space and feature modern boutique designs and the latest technology. 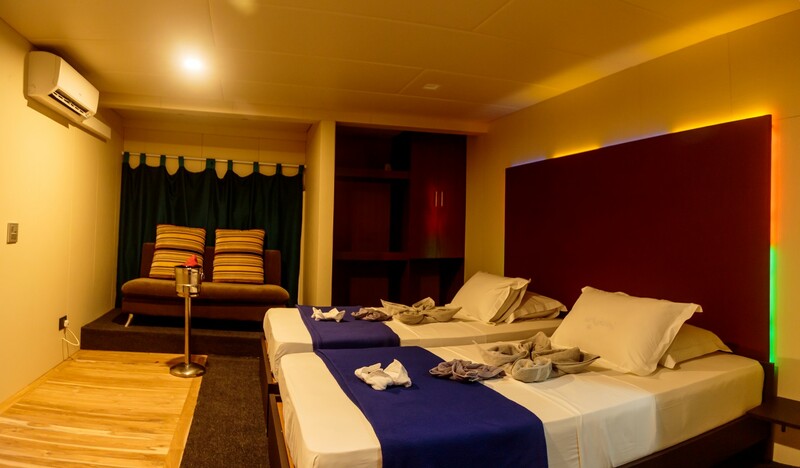 There are four categories of rooms including 4 Cruiser Cabins and 2 Cruiser Suites on the lower level, 4 Sea Breeze Balcony Rooms and the Sky Light Suite located at the 3rd level. 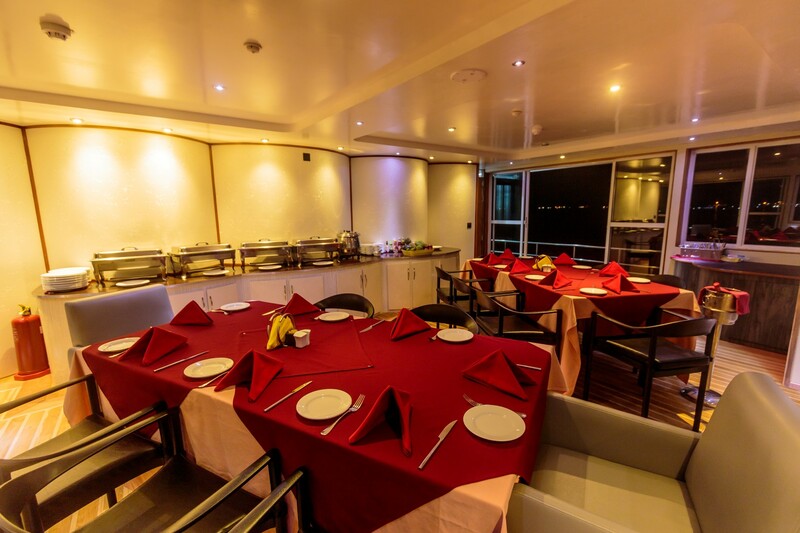 While onboard the MALDIVE MOSAIQUE her crew of 16 will pamper you and the onboard chef will tempt you with a wide range of cuisines including Maldivian, Indian, Italian and other International flavours served mainly from the buffet. 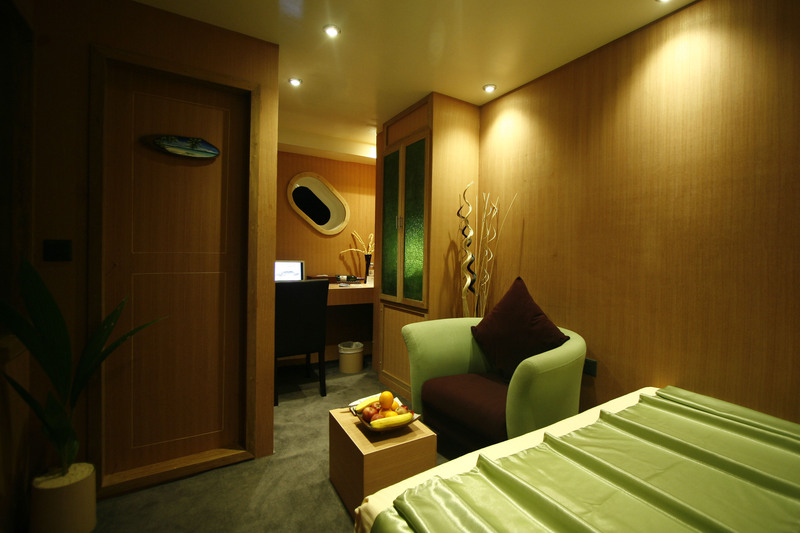 The Sompoton Spa, a unique Mosaique spa experience is also available onboard. 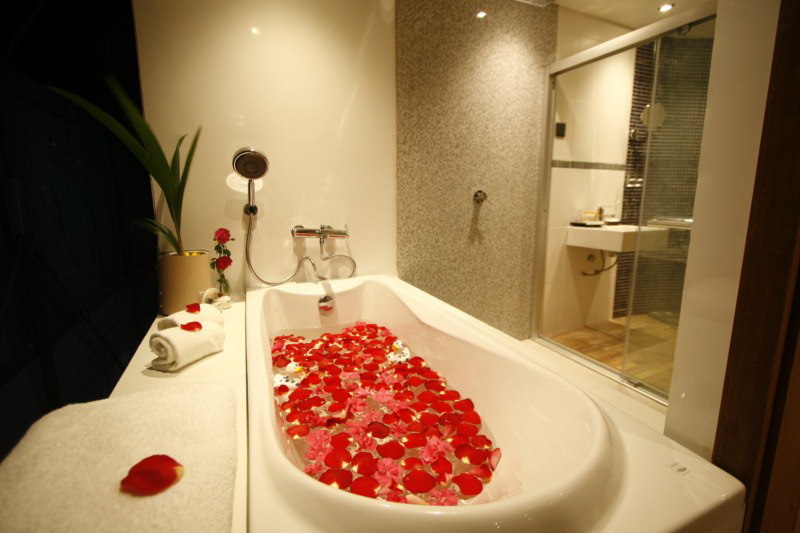 The luxurious, full-service retreat offers you an unparalleled spa experience. 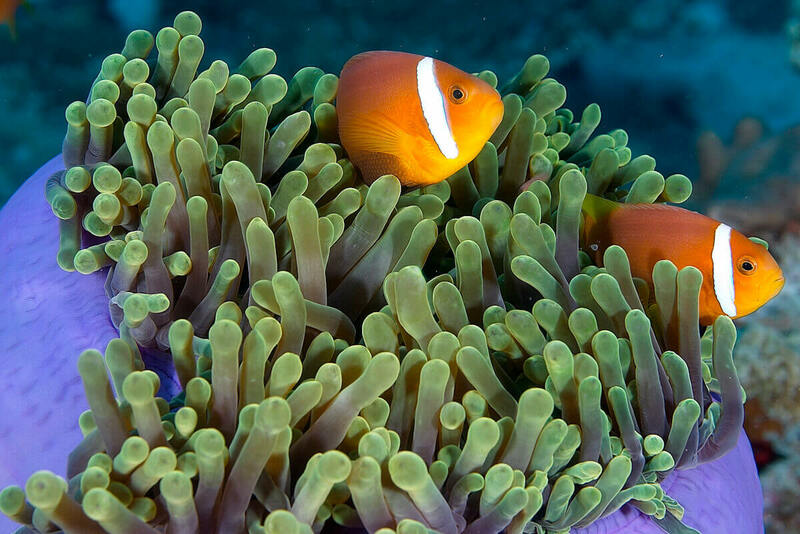 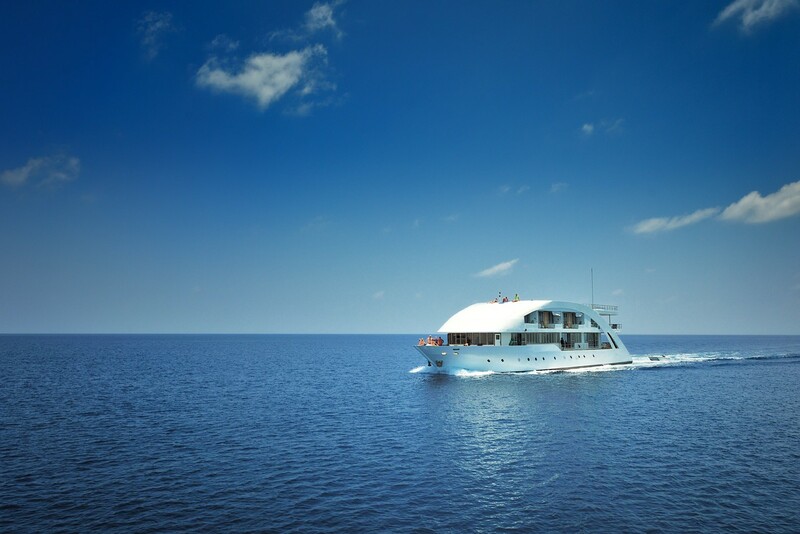 The dive master, onboard MALDIVE MOSAIQUE, will guide you to the most suitable dive sites depending on the weather, number of divers and requests. 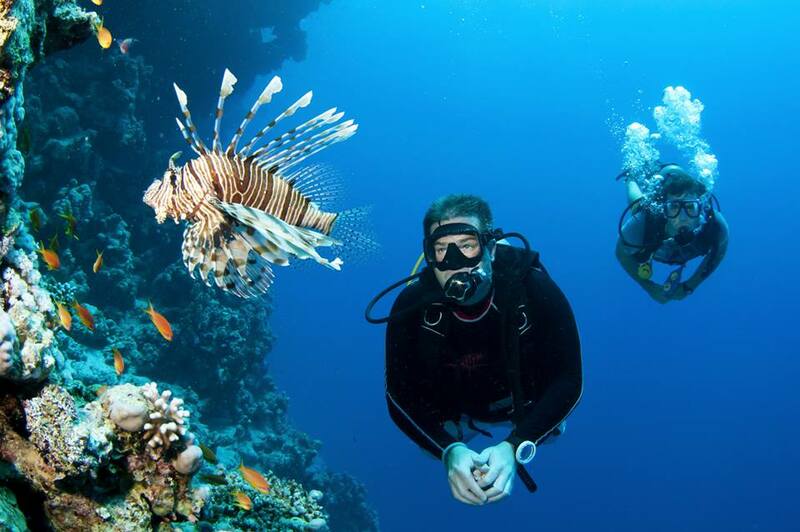 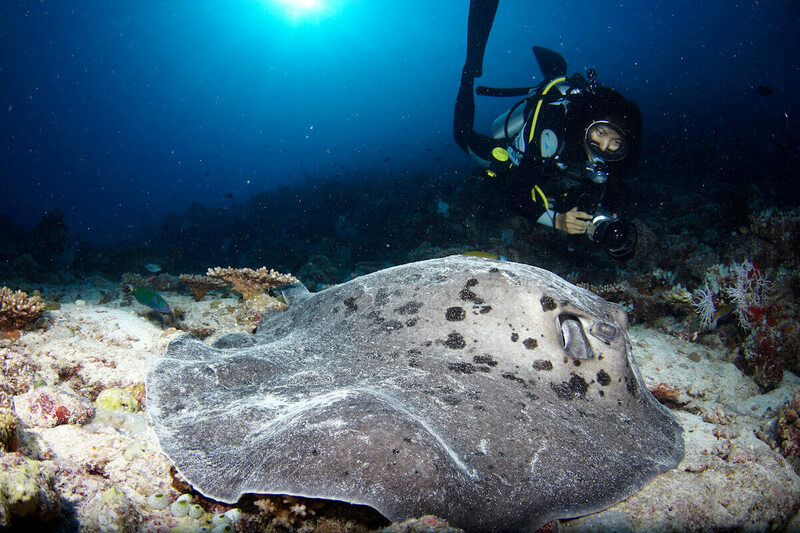 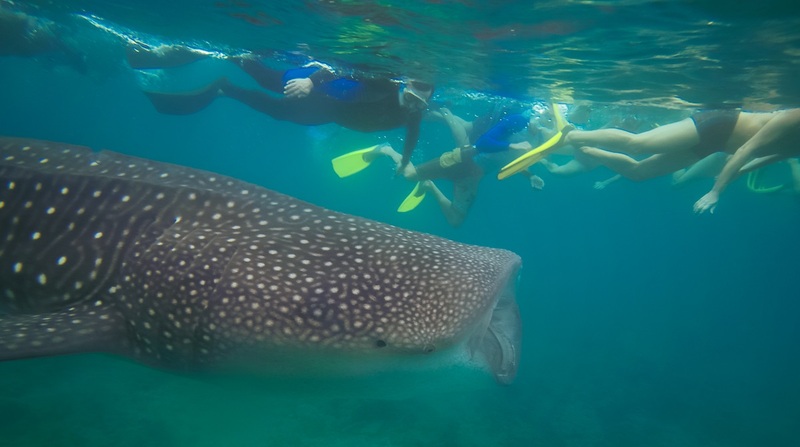 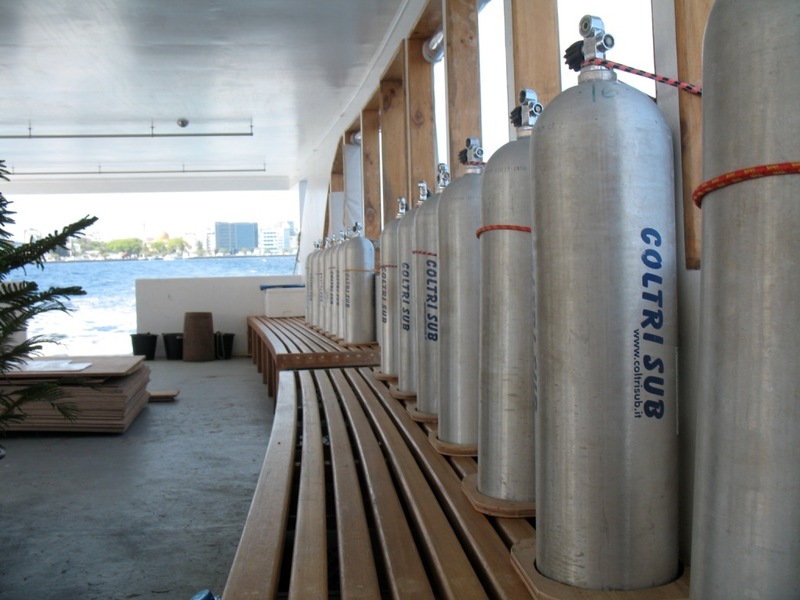 Please note that the minimum qualification for diving is a PADI Open water Diver or equivalent. 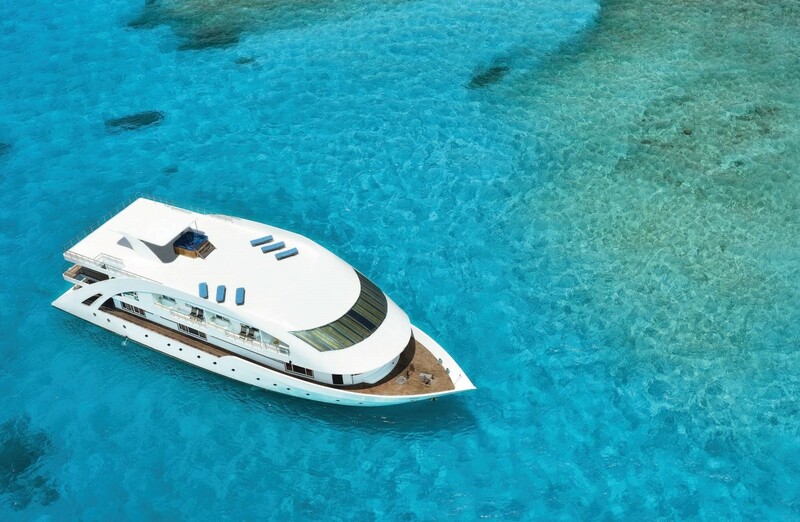 The yacht will anchor near a beautiful virgin island or a sandbank where you can indulge in a range of water sports including swimming, surfing, snorkelling, Jet skiing (by pre-arrangement), motor yachting, fishing or jumping out from the yacht. 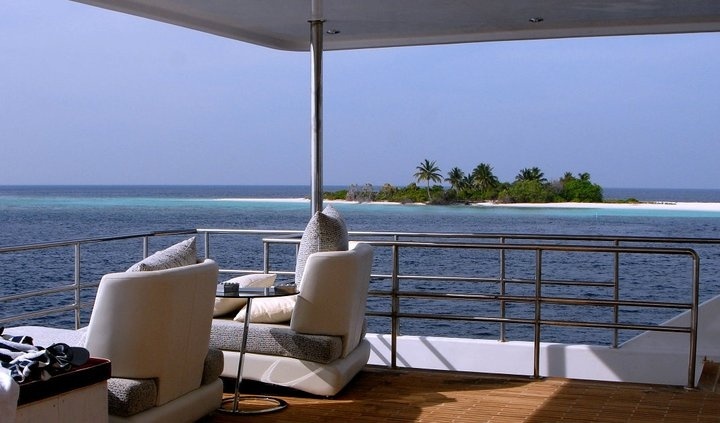 Fishing is a very popular activity offered on luxury yacht charters be it night fishing, early morning fishing or sports fishing. 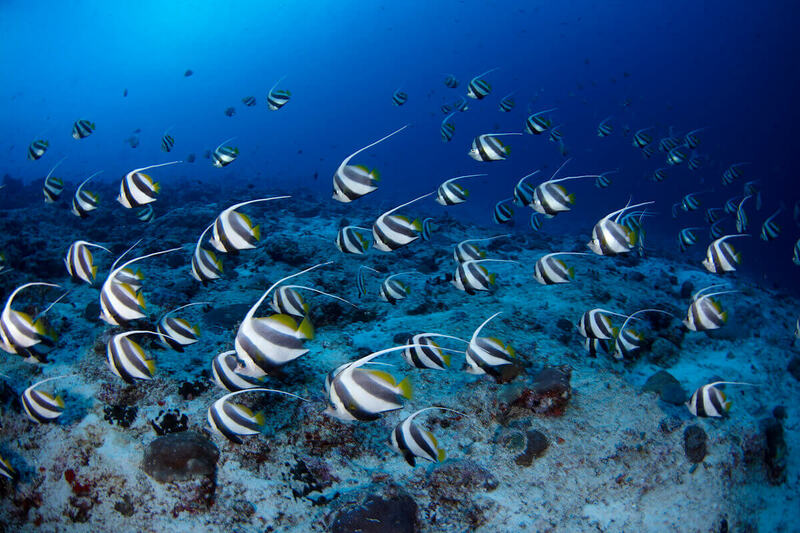 The red snapper is the most sought after fish for barbecue, or you can catch yellowfin tunas, wahoos, Merlins or huge barracudas. 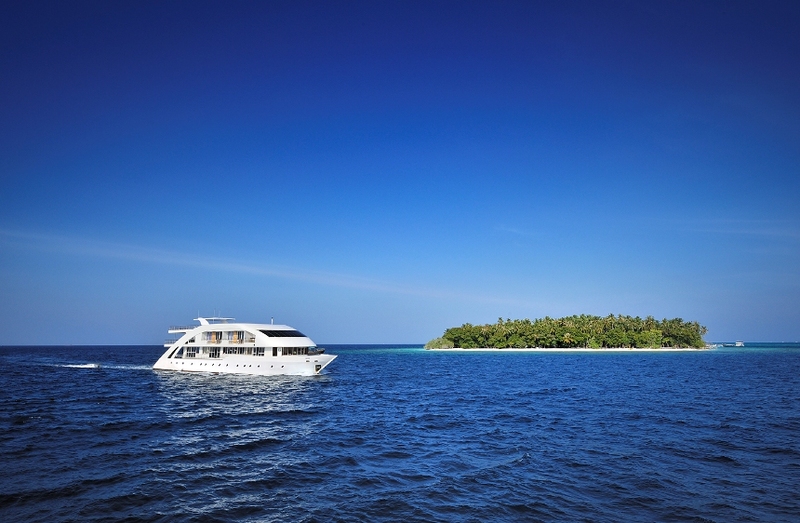 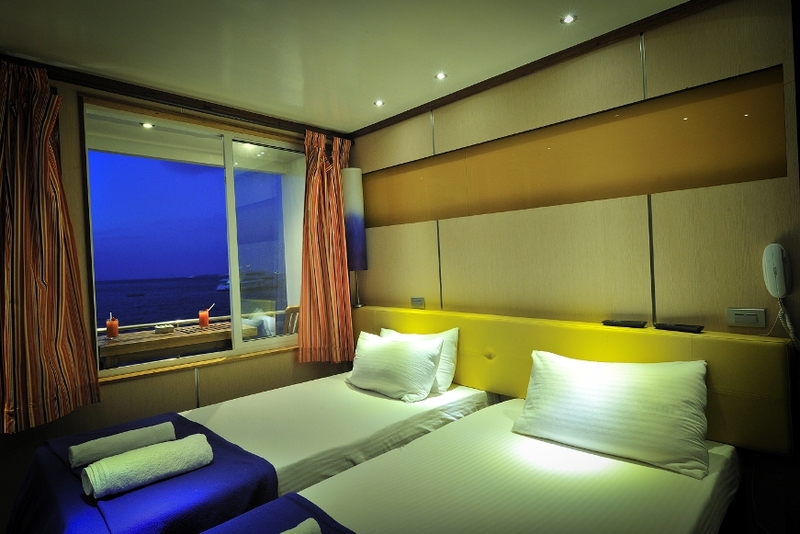 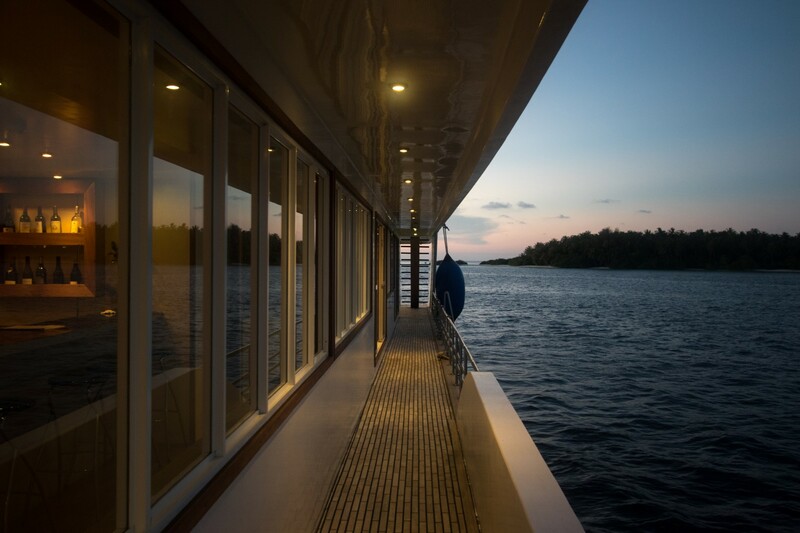 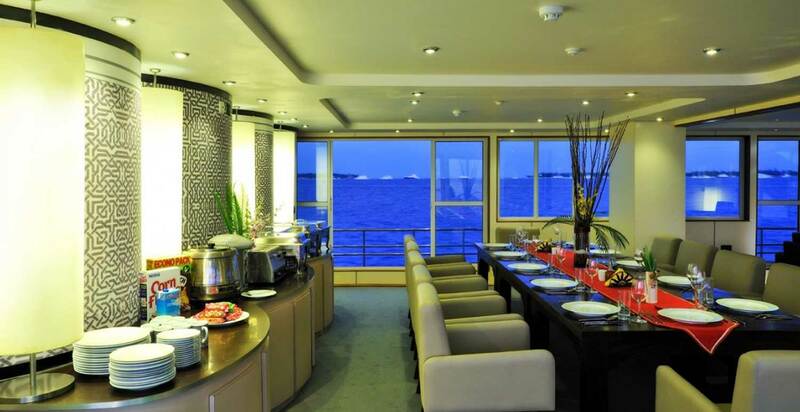 The Maldive Mosaique can accommodate up to 22 guests in 11 cabins. 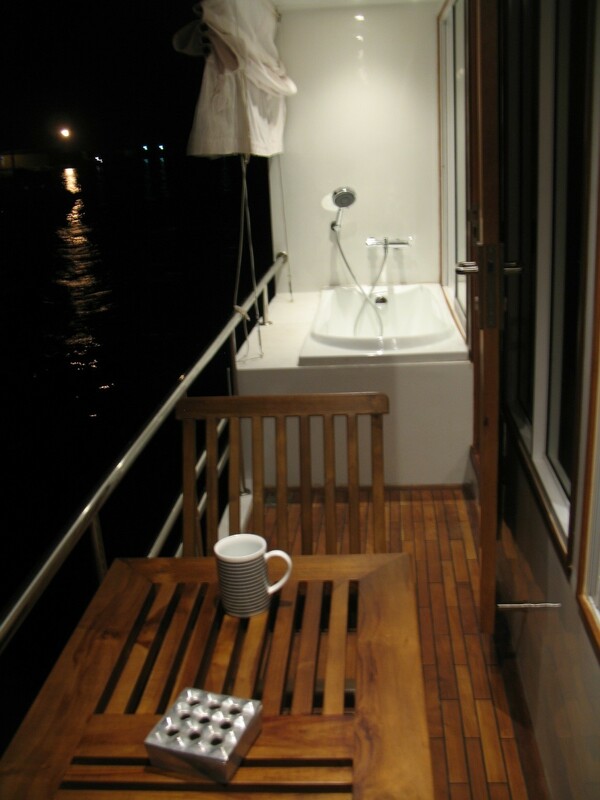 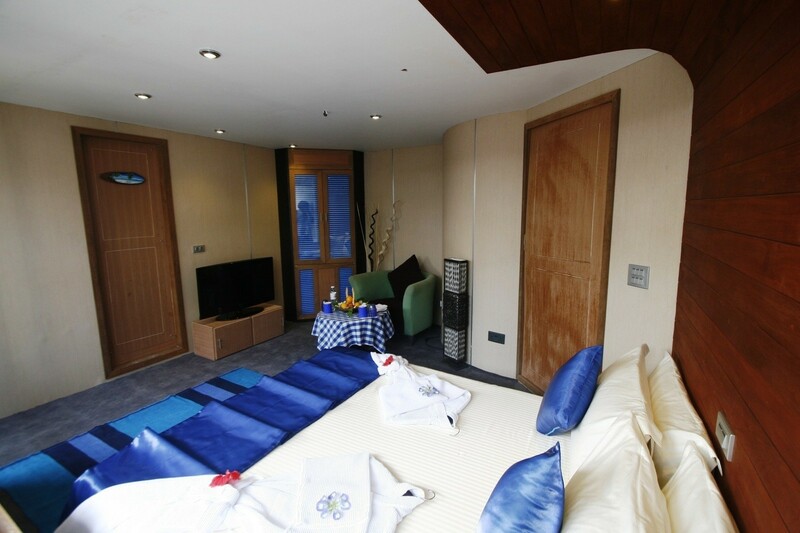 The 4 Cruiser Cabins measuring 15 sq meters are standard double bedrooms featuring luxury boutique design. 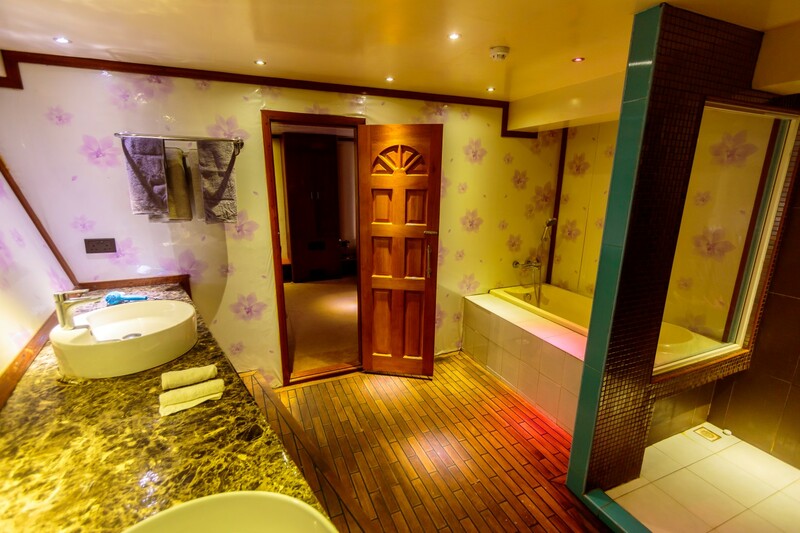 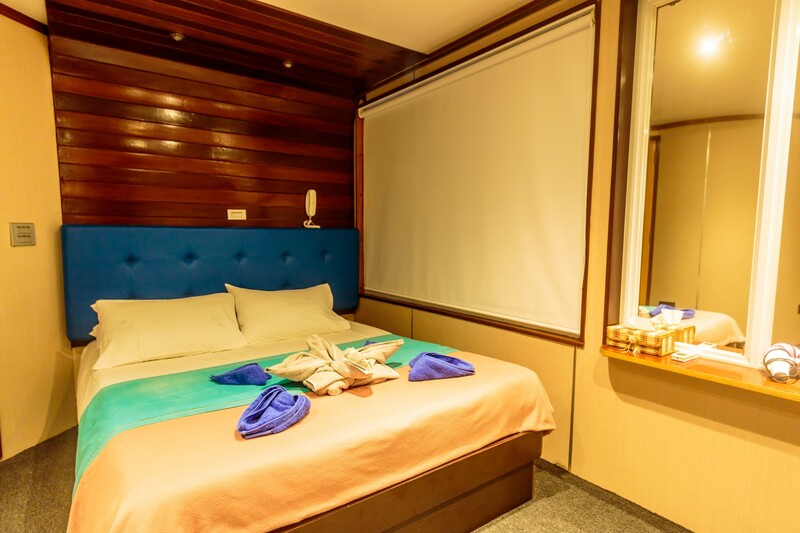 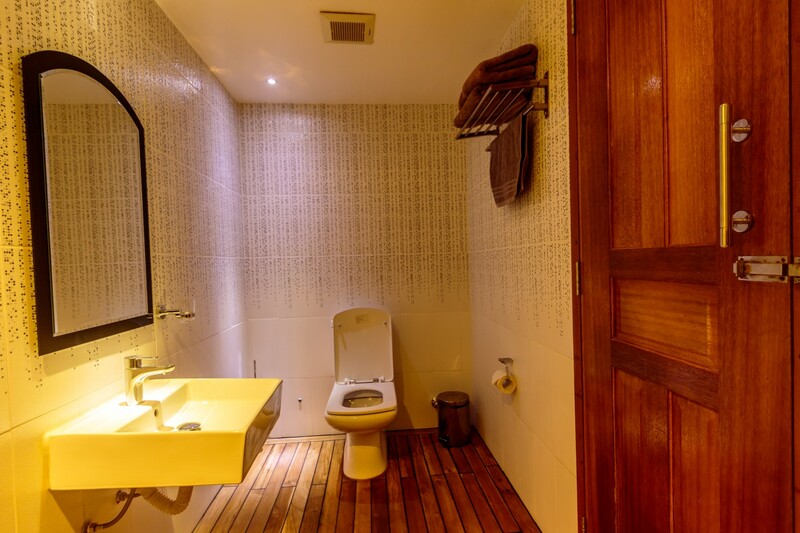 The cruiser rooms are located on the lower level and are equipped with beautiful bathrooms with modern amenities as well as all the modern utilities and facilities offered in the suites such as flat screen TV, bathtub, hot and cold shower. 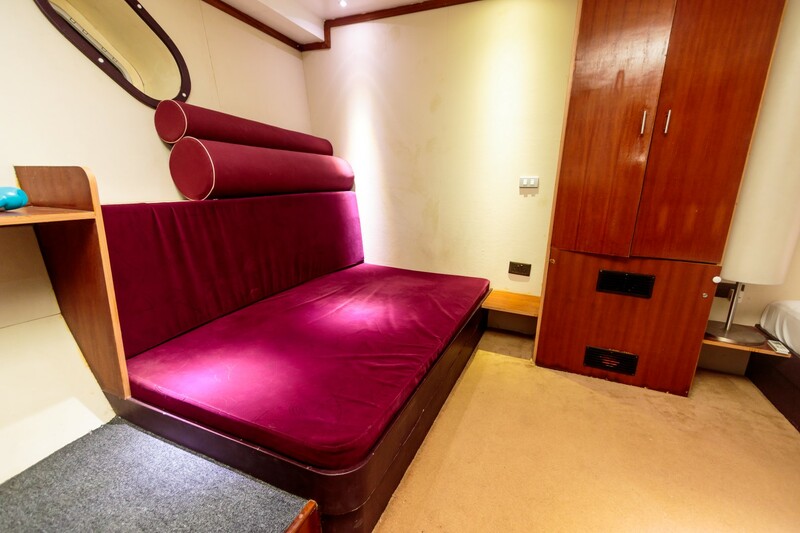 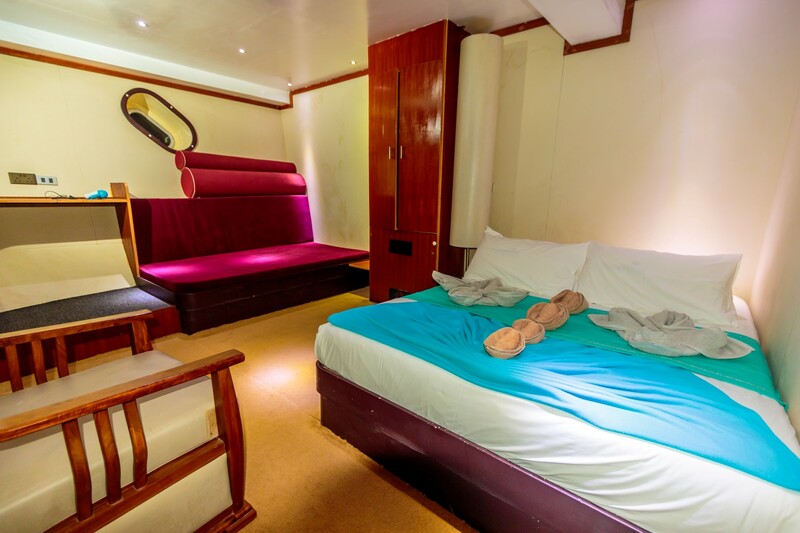 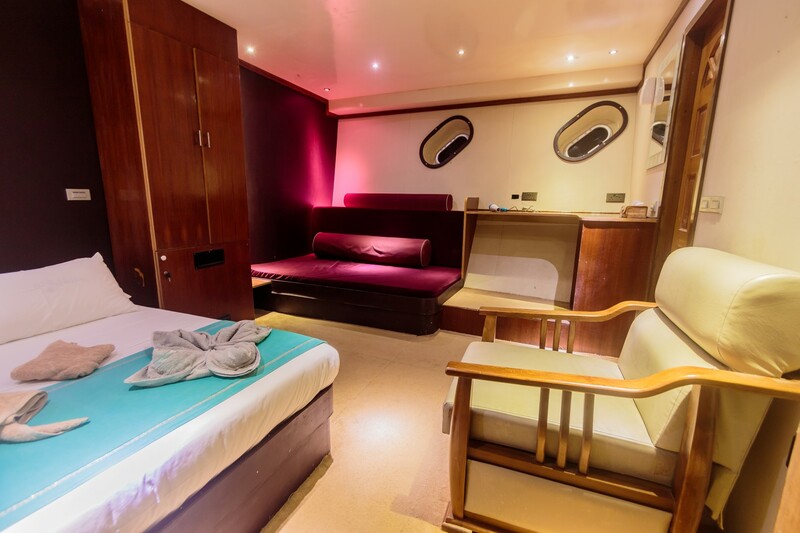 The 2 Cruiser Suites measure 26.5 sq meters and are very spacious equipped with a standard double bed and a full size day bed, located on the lower level. 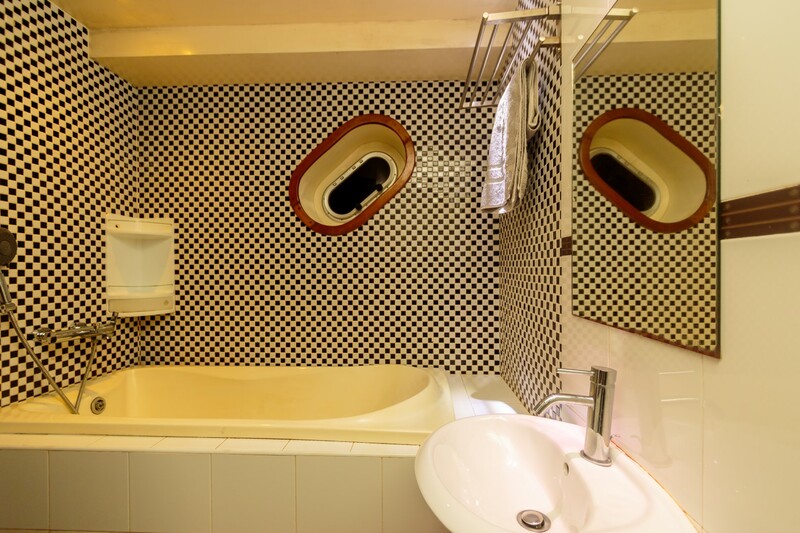 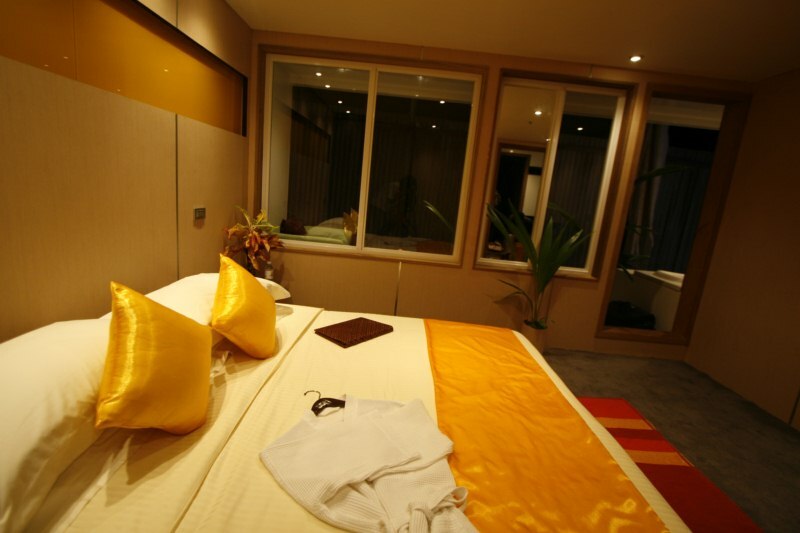 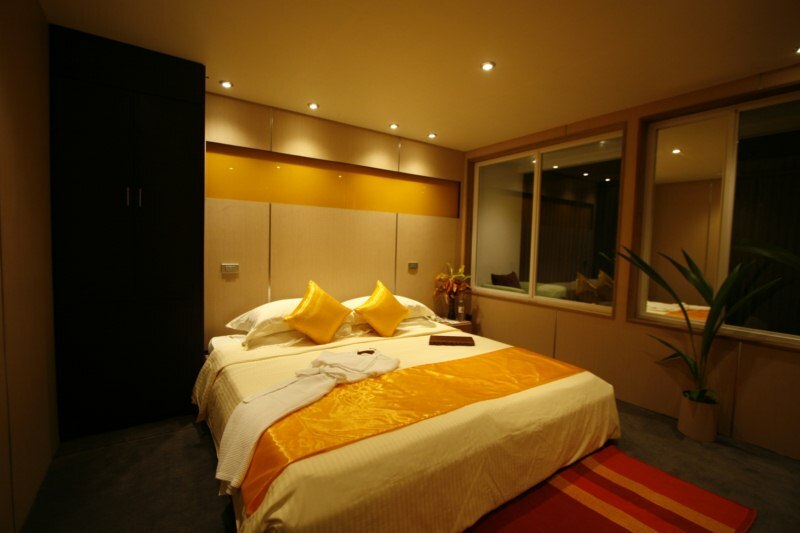 These suites are equipped with beautiful and large bathrooms with modern amenities, utilities and facilities. 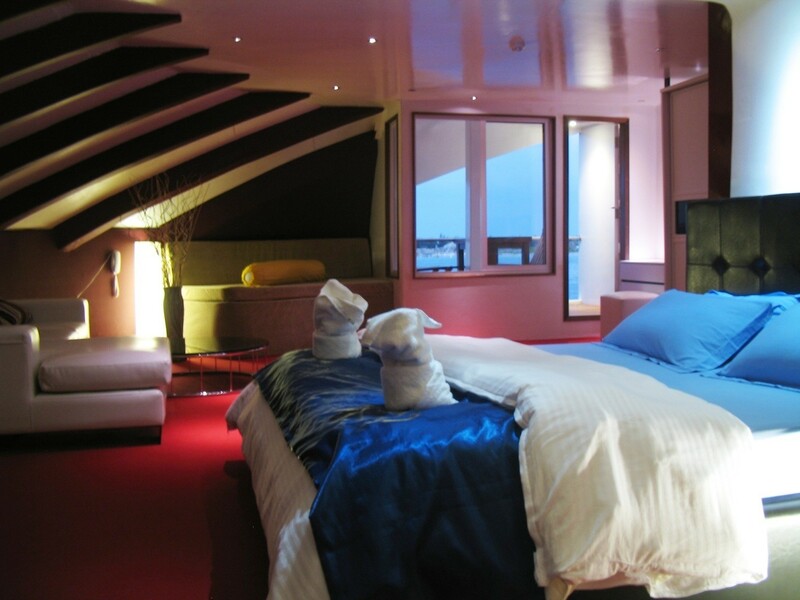 The 4 Sea Breeze Balcony Rooms have 24 sq meters of space and complement all aspects of a Sky Light Suite except the sky view. 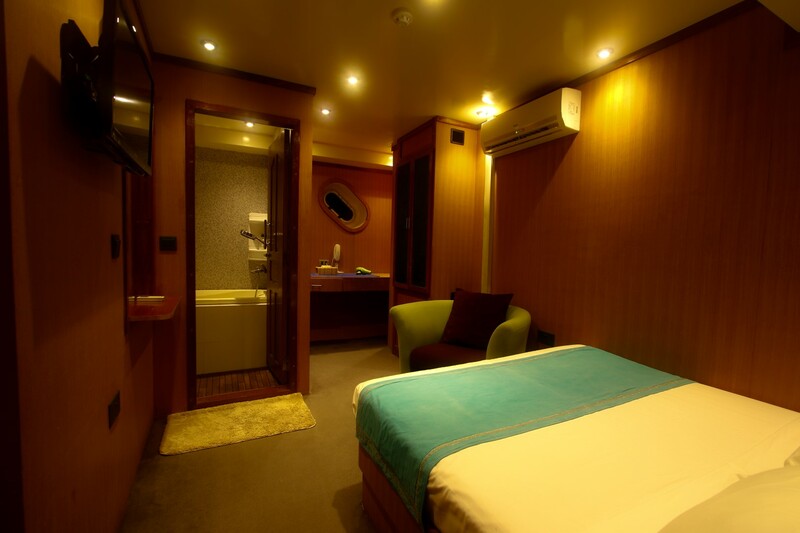 The Sea Breeze Balcony Rooms each have a private balcony, beautiful bathroom with modern amenities and an outdoor bath tub overlooking the scenery. 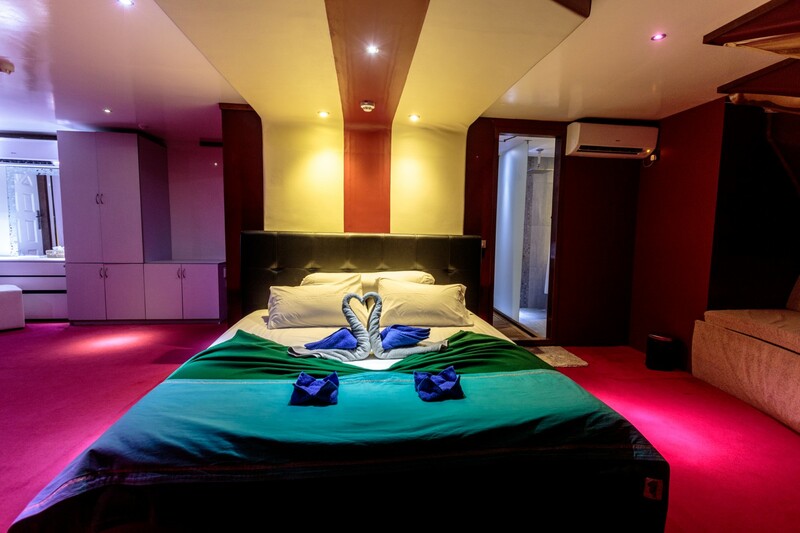 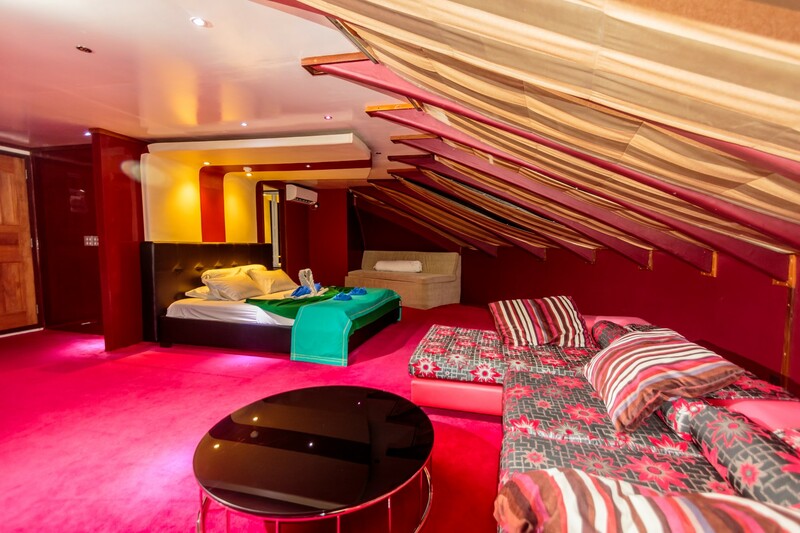 The Sky Light Suite is a massive 80sq meters and offers a king size double bed, 2 day beds, 42” LCD TV, private bar and a full sofa set. 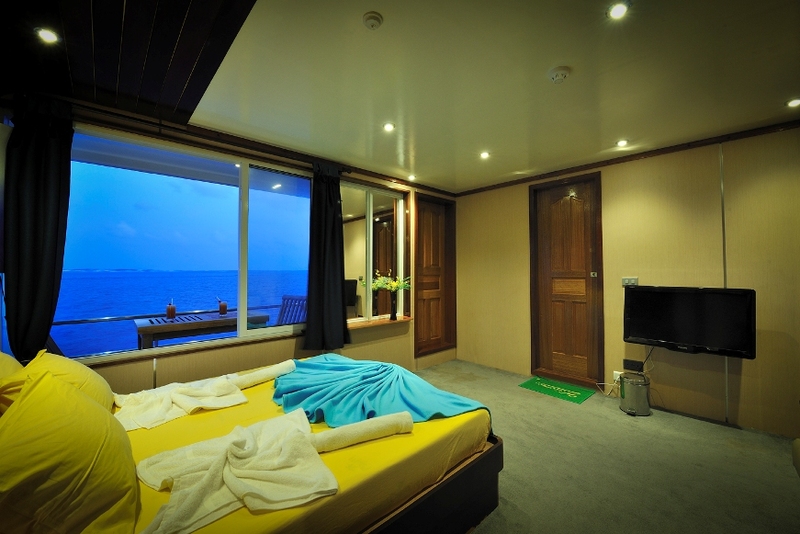 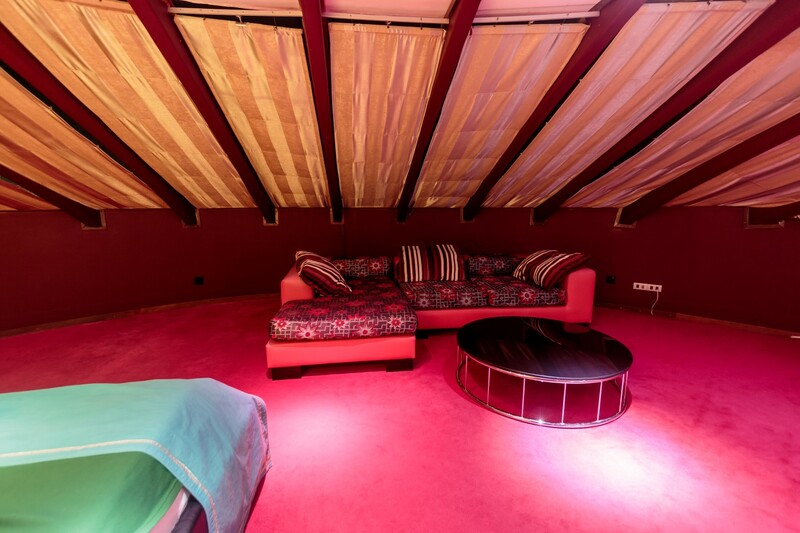 The suite is located at the front on the 3rd level offering a mesmerizing panoramic 270 degree sky view. 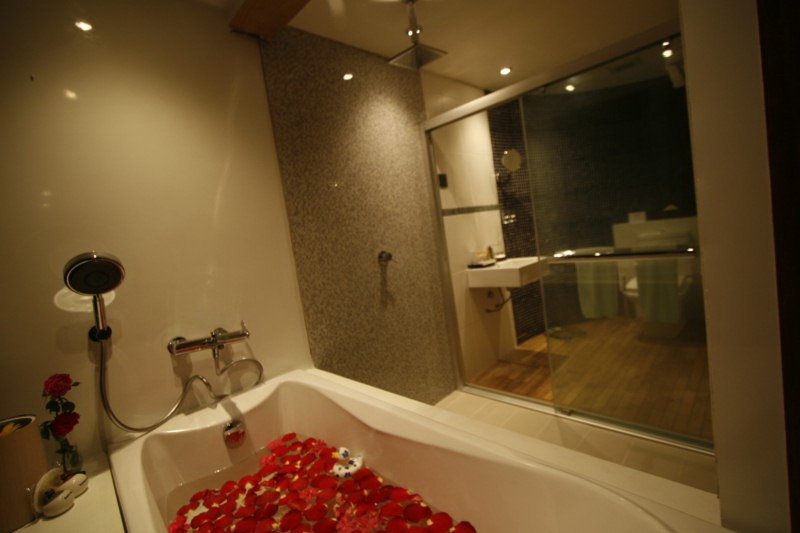 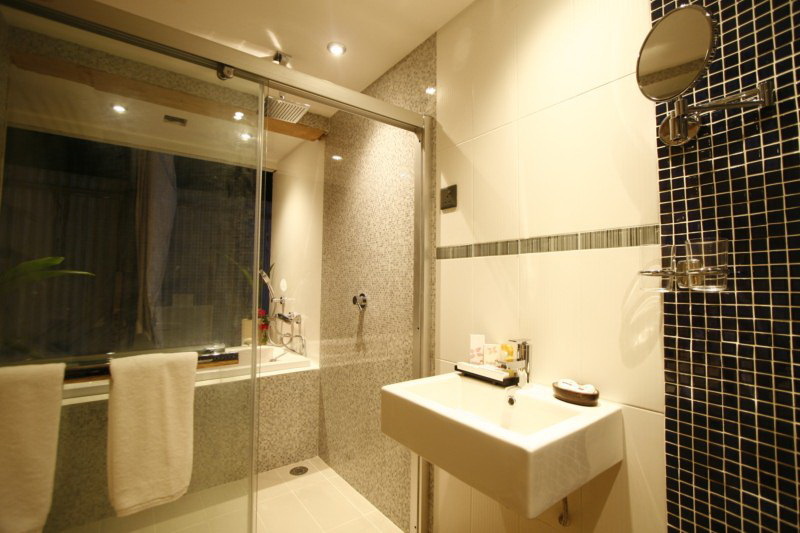 The Sky Light Suite has a private balcony, beautiful bathroom with modern amenities, outdoor bathtub and rain shower. 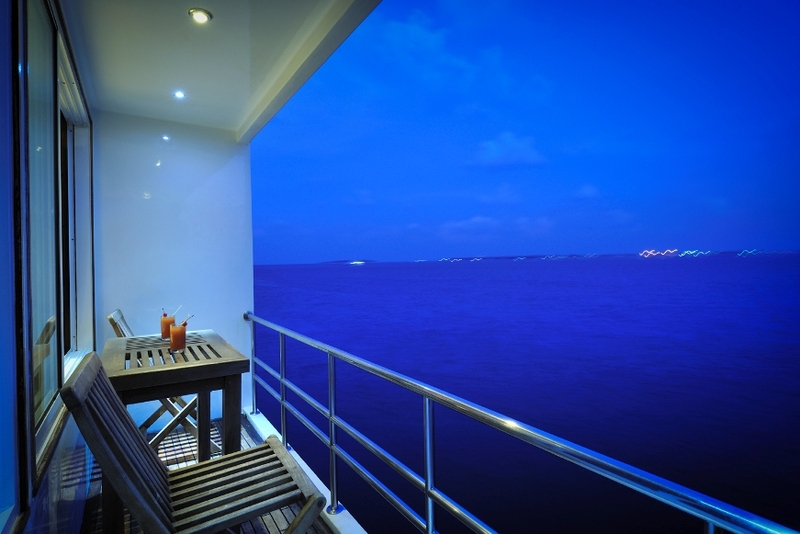 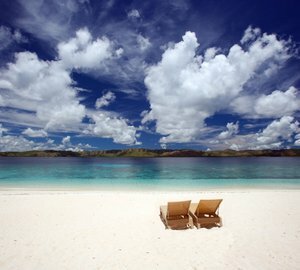 Enjoy at your private sun chair at the room balcony overlooking the breath taking scenery.